Legal malpractice happens when an attorney fails to provide the quality of professional care and service that should reasonably be expected, and as a result, a client is harmed. To prevail in a legal malpractice claim against an attorney, your new lawyer must prove that your original lawyer operated below the accepted professional standard of care and that if that lawyer had handled the work properly, you would have had a better outcome to your case or lawful procedure. If you are a victim of legal malpractice in southern California, speak at once with a skilled legal malpractice attorney at the law firm of Thon Beck Vanni Callahan & Powell. We have thirty years of experience representing victims in southern California; we’ve established a record of success and a reputation for honesty, tenacity, and excellence. If you’re a victim of legal malpractice, call our legal malpractice attorneys immediately to discuss your case. CAN YOU SUE YOUR LAWYER? 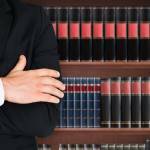 Clients simply must be able to trust their attorneys. Good communication must be maintained throughout the duration of a case or proceeding. When a lawyer will not return calls, fails to meet deadlines, or provides only the vaguest details when you need specific information, that lawyer may be guilty of lawful malpractice. If you believe or suspect that you are being victimized by an attorney, or if you believe your attorney has acted negligently or incompetently, call Thon Beck Vanni Callahan & Powell. If you have grounds for a lawful malpractice claim, we will advocate passionately on your behalf. After all, malpracticing attorneys are bad for clients, bad for us and for other attorneys, and bad for the entire justice system. We hold them accountable. When you hire our law firm, you’ll be represented by a qualified Pasadena legal malpractice lawyer, who will give you total respect, courtesy, and consideration. We will thoroughly explain how the law is on your side in a legal malpractice case, and we help you stay informed while your claim moves through the lawful system. In these situations, you need an attorney you can trust; call Thon Beck Vanni Callahan & Powell today at 626-795-8333 or contact us online right now to schedule a free initial consultation.